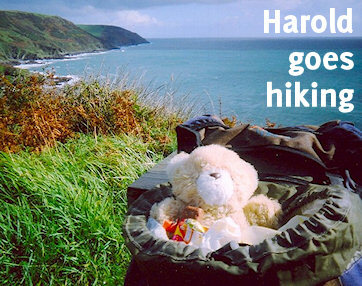 If you’re anything like us, there’ll be plenty of things that you won’t have time to wonder about while you’re walking the coast path. But that won’t make you any less curious. So here are a few details about areas of interest that you might appreciate reading up on before you set out or when you get home. Forget singing postmen – this is a deadly serious business and has been the downfall of many a television producer who hasn’t bothered to do his or her homework properly. Sounding nothing whatsoever like either Westcountry or rural Berkshire, the Norfolk accent and dialect is central to the county’s identity. Quite unlike any other regional accent, Norfolk is described as more than just a way of speaking – rather it’s an outlook, a sense of humour and a way of looking at life. Norfolk seems to have suffered heavily under Beeching. As a result the county is criss-crossed with disused railway lines – and increasingly full of people seeking to reinstate services and open the lines for pleasure and as tourist attractions. As a result there’s a wealth of interest for the rail enthusiast in the county and many train journeys can be combined with footpaths to make pleasant circular journeys. By Norfolk standards Cromer is a mere sprig of a town. The Domesday book records two villages by the name of Shipden – one of which seems to have gone on to develop into the resort we now know. The other sank under the sea, a drowned settlement thought to be about a quarter of a mile to the north-east of the modern-day lifeboat station, which is situated at the end of the pier. It was once marked by a prominent rock called Church Rock – until a ship ran aground on it towards the end of the nineteenth century and it was blown up. Also of note here are the splendidly-restored pier and the Hotel de Paris. This was originally the seaside residence of local dignitary Lord Suffield before being converted into a hotel in 1830. These days you’re more likely to encounter a visiting coach party than Harry Handelsman. But it’s still got one of the best situations and exteriors on the entire Norfolk coast. A cautionary tale, this. Poppyland is an evocative term for an area of the north Norfolk coast around the village of Overstrand, east of Cromer. It was coined by the Daily Telegraph’s Clement Scott who wrote poems and essays describing fields of waving corn studied with innumerable poppies. Scott first visited in 1883, waxing lyrical in print about local attractions like the church tower and nearby Mill House. He introduced it to his influential friends and caught the popular imagination through his writings to such an extent that the area became a thriving tourist resort, with the aid of a new railway link – and the rural Eden Scott had discovered and documented was arguably destroyed as a result. Overstrand Village and Parish Council pages – check out the village history section for detailed information on Poppyland.